Look at how beautiful it is. I just had to try making it but without an ice shaver, I had to find an alternate route. 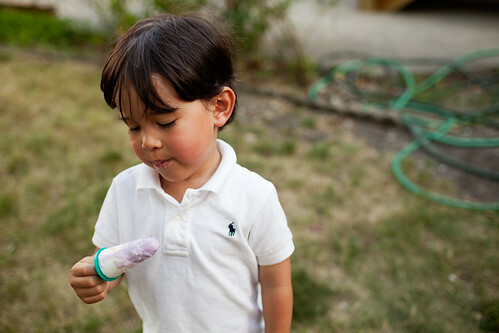 Thanks to chow.com, that meant popsicles! They seemed so easy to make, I dove right in after a trip to our local Korean market. 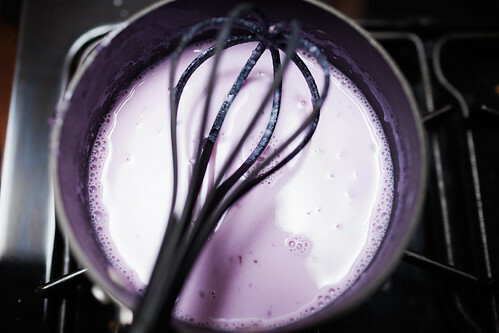 I'd never seen ube yams but they are the g-r-e-a-t-e-s-t shade of purple. 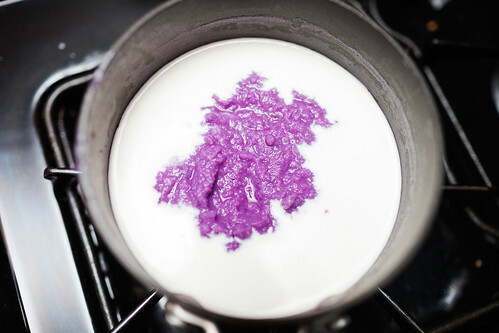 Watching the grated ube dissolve into the cream was so pretty, too. 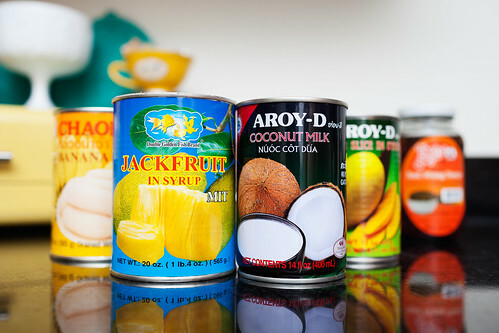 Prepping the halo-halo part was super fun (it means mix-mix, so duh, of course it was fun). 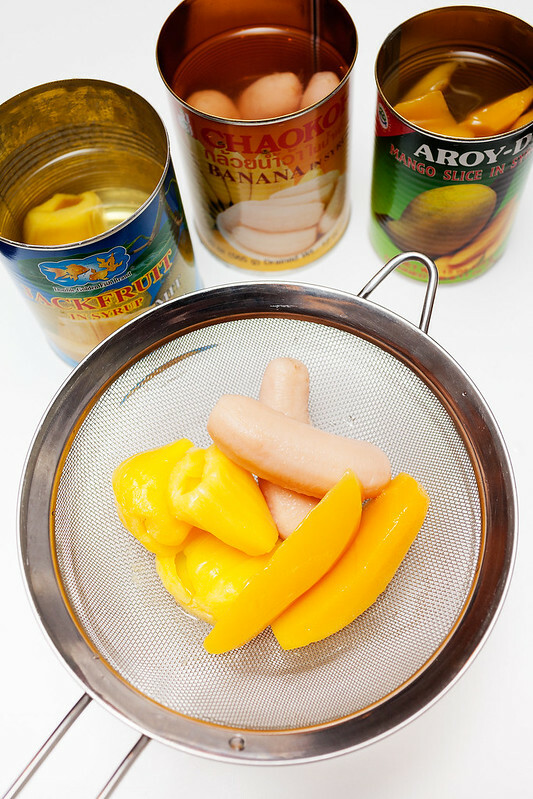 We used a mix of mung beans, white beans, ripe banana, jackfruit, mango, shredded coconut, nata de coco, and evaporated milk. Traditionally there's a mix of a ton more but we had to minimize so our molds could hold it all. After draining all of the fruit and beginning to chop everything up, I got an adorable surprise. 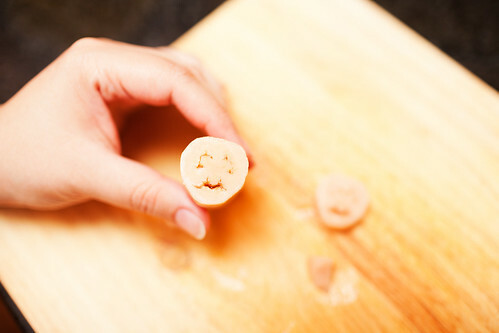 Look at how cute the ripe banana's little happy faces were. I made about a million (ok, more like 22) for Andrew's father's birthday/father's day party. Admittedly, I was a little nervous about how they'd respond to my take on their traditional Filipino dessert but everybody loved them, even the kids! We now have a freezer full of another batch because they're too delicious not to? Awesome, this looks like a winner! Oh man, they totally are. I can't recommend the recipe enough! Wow! haha that looked really weird at first. But it looks tasty! hot dang, those look amazing! 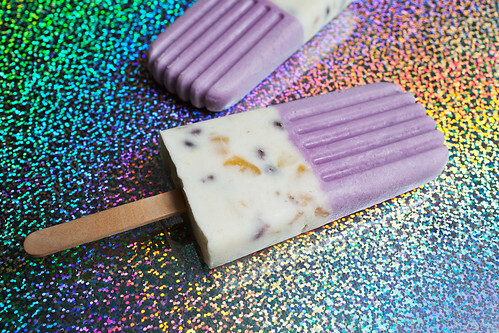 i just got a popsicle cookbook called 'paletas' that i'm obsessed with, but i may have to try these next! 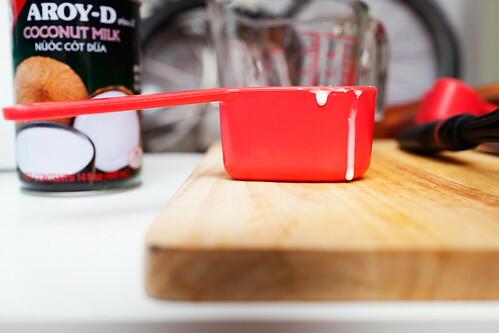 I'm on a new finding-molds-and-recipes kick. 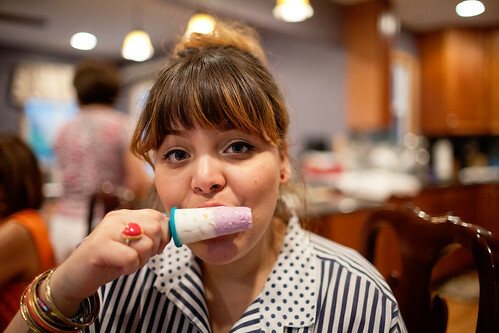 Popsicles are the best! 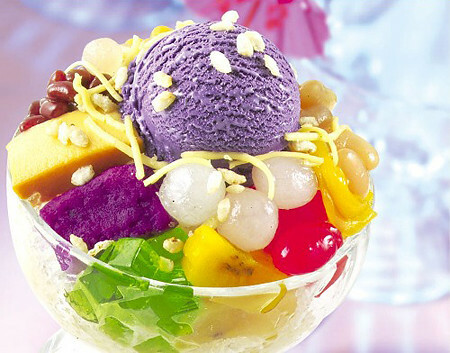 I've seen halo halo and I've heard about halo halo, but I've never had it. I'm a bad Filpino. lol Those popsicles look delish. I reckon you'd love iced cendol. Cold pandan jelly noodles, coconut milk, palm sugar and shaved ice. That's my summer childhood, right there. these look SOOOO TASTY. 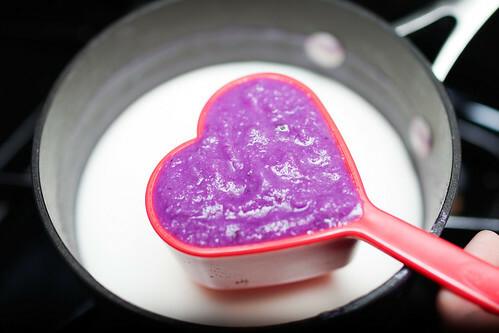 you've just brought to my attention that I need to start cooking everything with ube yams. I definitely want to try using it more, too. I always end up cooking with all the same ingredients! My heart skipped a beat when you said Puerto Rican neighborhood! I live in Humboldt park! We should be IRL buddies!